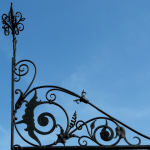 For more than 20 years Master Iron Stairs & Fence have been in the business of designing and fabricating beautiful ornamental iron railings for customers right across the GTA. We work with homeowners, landscape contractors, architects, general contractors and more to create stunning, enduring examples of the iron worker’s art that set our client’s homes apart from the everyday. Whether you need railings in Vaughan for a spiral staircase in your home or the grand staircase in your hotel Master Iron is the company to call. 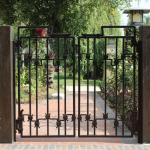 Fully customizable: Wrought iron can be crafted into any shape or design you can imagine. From minimalist to Baroque and everything in between. 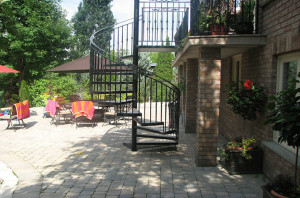 If you wish you can personalize your railings to reflect favourite design motifs or include family initials. Whatever you can imagine we can do. Long life: Wooden railings are not known for their longevity. Quite the opposite. They’re known for being high maintenance components of the house that need regular repair and replacement. 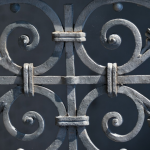 By contrast wrought iron is the very definition of long life when it comes to building materials. The railings we at Master Iron install for you today are likely to still be looking good when your children’s children have taken over the house. 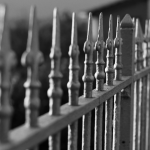 Low maintenance: Whereas you may have to replace sections of your wooden outdoor railing after 10 or 15 years, that much time will only signal that it’s time to add a new coat of paint to your wrought iron railings. Beyond that maintenance will consist of little more than wiping them now and then with a damp cloth to keep them clean so that everyone can enjoy their enduring craftsmanship. 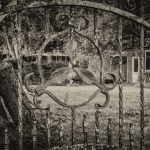 Timeless appeal: Homebuilders in colonial times understood and appreciated the appeal of wrought iron railings. Today that appeal is still appreciated by architects, landscape designers and homeowners everywhere. 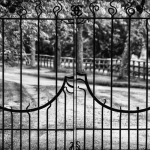 In an age where the tangible is giving way to the virtual beautiful wrought iron railings on Vaughan homes stand out as testaments to the value of handcrafted excellence. Every railing we make reflects and embraces this timeless appeal. You can pick up pre-fabricated wood railings at the big box home improvement centre or even hire a woodworker to craft them for you personally. In the end though you’ll still wind up with something susceptible to rot, something that will require a ton of maintenance and something whose design possibilities are extremely limited. Choose metal railings in Vaughan from Master Iron Stairs & Fence instead and elevate the look and feel of your entire home.